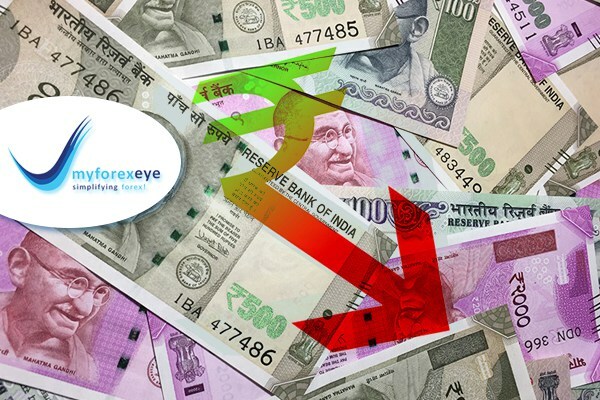 USD/INR – The Indian rupee opened lower against the U.S. currency, in-line with other Asian peers after the dollar index climbed to its highest in two weeks. Investors are awaiting the Monetary Policy Committee’s decision on interest rates, due at 11.45 a.m. The rupee opened at 71.7275 versus its previous close of 71.5525. Most economists expect India’s rate-setting MPC to shift its stance to neutral from calibrated tightening. The expected change in the stance to neutral comes on the back of softening inflation expectations after retail prices in India rose at their slowest pace in 18 months in December. However, with core inflation remaining elevated and in light of an expansionary budget for the next fiscal year, most economists do not see room for a rate cut. EUR/USD – The single currency was flat at $1.1360, having lost 0.45% of its value on Wednesday. The euro has lost around 1.3% over the last week as investors bet the European Central Bank will keep monetary policy accommodative on weaker-than-expected growth and low inflation in the common area. EUR/USD slid to its lowest level in nearly two weeks and faced the prospect of more losses as the slow drip of weak economic news kept Europe's currency under pressure. A huge downside miss to German December industrial orders highlighted risks that growth in core euro zone economies is stumbling and could be nearing a recession. GBP/USD – Sterling was marginally lower at $1.2930. The British pound has weakened by 1.3% in February due to Brexit woes. The United Kingdom is on course to leave the European Union on March 29 without a deal unless British Prime Minister Theresa May can convince the bloc to reopen the divorce agreement she reached in November and then sell it to sceptical British lawmakers. Prime Minister Theresa May tried to persuade the European Union to modify her Brexit deal to avoid a disorderly British departure from the bloc. EU Council President Donald Tusk said on Wednesday that he would make no new offer on Brexit. The Bank of England is scheduled to meet later on Thursday and is widely expected to keep interest rates unchanged. USD/JPY - The yen was 0.15% higher versus the greenback at 109.78. The dollar has gained around 1% versus the Japanese currency so far this month as global risk sentiment improved and led to a modest rally in global equities. Japanese demand for foreign bonds has been another reason for the strength in dollar/yen.